Apple may be struggling to remain top-dog in the tech industry these days, but it's about to edge out the competition in at least one major way, by cutting the ribbon on one of the coolest corporate campuses in Silicon Valley, if not the world. 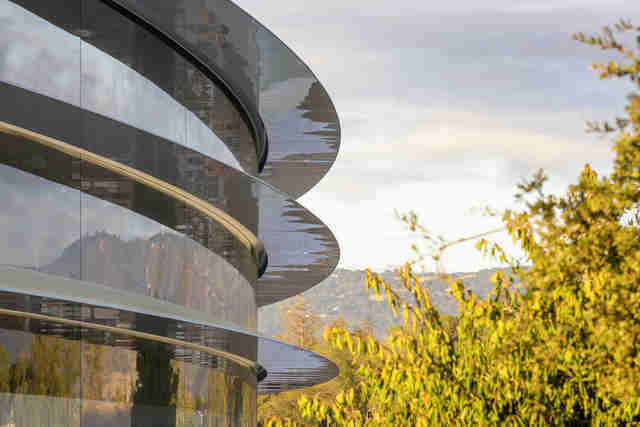 Apple's highly anticipated new $5 billion ring-shaped headquarters -- once dubbed the "Spaceship" thanks to its futuristic aesthetic -- will officially open its doors to employees in April with a brand new name: Apple Park. And as you might imagine, it'll feature a suite of serene perks and over-the-top amenities that'll make your lowly cubicle seem downright prehistoric. 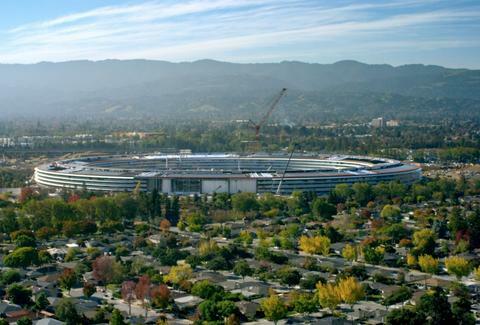 The idea for the 175-acre compound in Cupertino, California was conceived by Steve Jobs himself, who proposed the project back in 2011, just months before his death. Construction began in 2013, and drone-captured aerial videos teasing its progress have been exciting architecture fans and Apple evangelists alike over the past few years. The company says it will take about six months to move more than 12,000 workers into the new main building, which at 2.8 million square feet makes it roughly 333 times the size of an average Apple Store (though it's still smaller than Google's "Googleplex" in Mountain View, which clocks in around 3.5 million square feet). Construction is also expected to extend into the Summer to wrap everything up, which isn't too surprising considering the project's reportedly been plagued by delays, due in part to Apple's notoriously meticulous approach to product design, which doesn't necessarily jibe with the architectural process or construction realities, especially with a complex structure of this scale. Beyond its sunning appearance (the main building is wrapped entirely in the world's largest panels of curved glass) highlights of the new complex include a 100,000-square-foot fitness center, secure research and development facilities (oooh, secrets! ), two miles of walking and running paths, an orchard, meadow, and pond within the ring's interior grounds, and a gorgeous 1,000-seat auditorium perched atop a nearby hill, which they've named the Steve Jobs theater, and will presumably serve as the venue for major company announcements going forward. Apple Park won't be exclusively accessible to employees, either, as it'll also include a visitors center with an Apple Store and cafe open to the public. It's also worth noting that the compound's lush grounds will not only keep it looking green, but the whole place will be remarkably green in terms of energy consumption. The main building will be the world's largest naturally ventilated building in the world, requiring no heating or air conditioning for nine months out of the year. 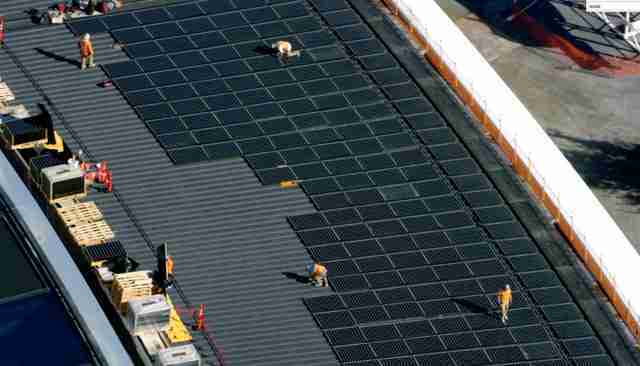 And the whole campus will run entirely on renewable energy, thanks in part to 17 megawatts of rooftop solar panels. Joe McGauley is a senior writer of Thrillist. His office boasts exactly zero meadows, ponds, or orchards.